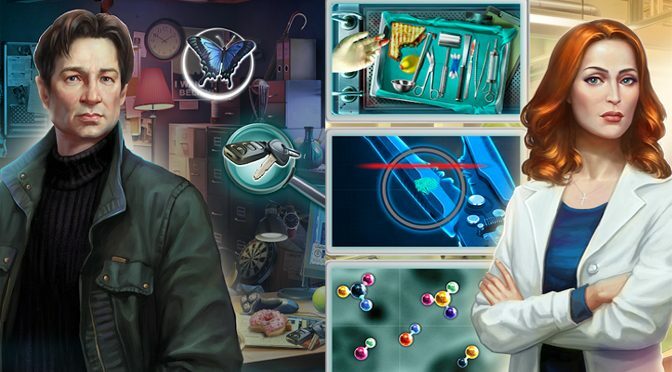 X-Files fans find themselves with an embarrassment of riches lately with new television episodes and now a new mobile game. 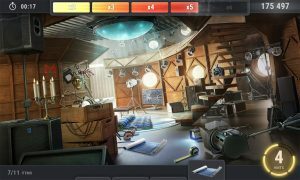 The X-Files: Deep State mobile game allows players to be an FBI agent trying to solve spooky cases like Mulder and Scully do in the show. 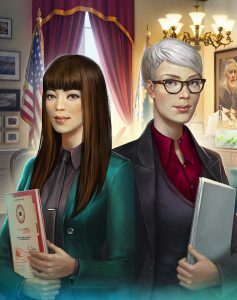 The X-Files: Deep State is a nice mix of hidden objects with point and click mystery. 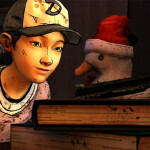 The game is subdivided into episodes like the television show, but with new content, so it’s not following the episodes currently airing. Initially after creating a character, the player is assigned an FBI partner to work with. Mulder and Scully, along with other characters from the show, appear throughout the game, but players don’t actually play as Mulder or Scully, but as an agent that they design themselves with limited appearance options and a name they pick. Because the game is part hidden object and part point and click mystery, it has interesting stories that move it along better than the average game of either type. The stories are intriguing and allow the player to choose to be a skeptic or a believer, and points are given accordingly. 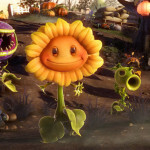 As for the hidden object aspect of the game, they take full advantage of the genre, which keeps each playing field interesting. Each hidden object area has ten levels: five regular, five pro. Some of the pro levels are timed and allow players to add bonuses to increase difficulty for more points. 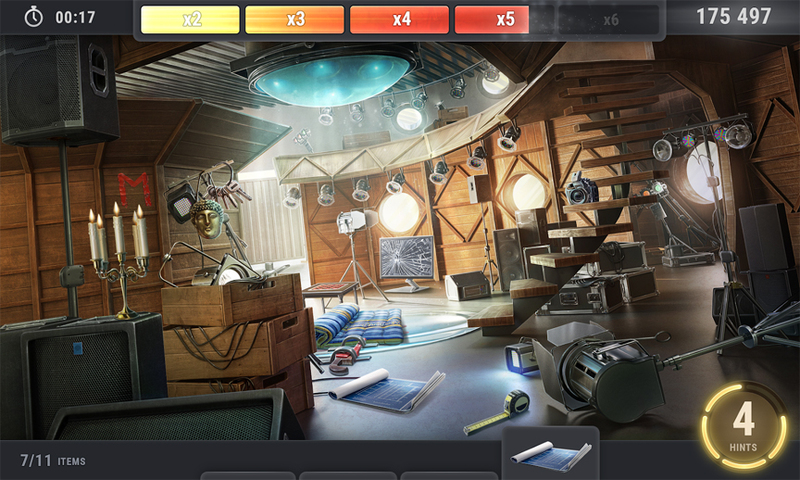 I’m a big fan of hidden object games, and Creative Mobile did a really good job with these. The pro levels are particularly challenging and fun. What’s nice though is that players don’t have to complete all ten levels to advance the story, the additional content is just for fun and to add points, so if hidden object games really aren’t your bag you can still enjoy the story. In game purchase options include energy packages and additional time allotments, and hint sets for task completion along with some “treasure boxes” that become available for purchase after completing a certain number of tasks. The nice thing about the in-app purchases is that they aren’t necessary to complete a story but if you run out of time before completing your task they can be used to give you more. Should you run out, you can exit the game and wait until the next day to get more time on the clock. 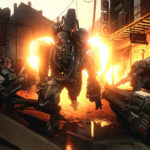 However, completing tasks also gives you more time, so unlike some games that force you to purchase additional packages to continue playing, players have more options in this game, which I appreciate. 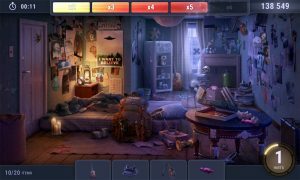 All in all, this is a fun game for X-Files fans as well as anyone who likes point and click mysteries or hidden object games. The X-Files: Deep State is available on Android, iOS and for play on Facebook. Check it out for yourself, and let us know what you think in the comments below. 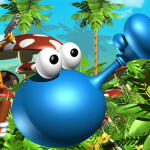 Previous PostMovie Monday: GattacaNext PostBanjo-Kazooie for Smash? I love this game! It feels like playing through a real X-Files case. I can’t wait for Season 2!! !